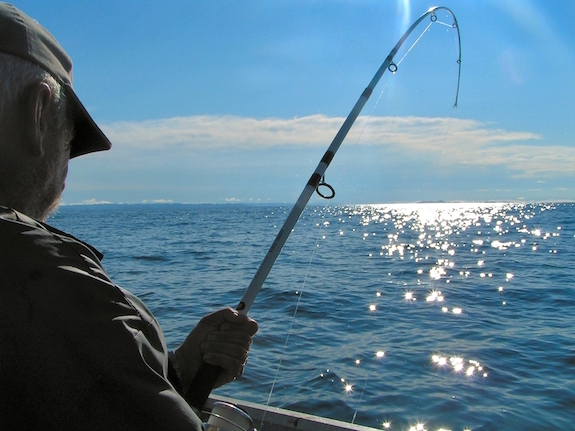 Fishing is an adventurous sport, where you get to enjoy the nature and relax as well. It can be an equally frustrating experience if you are not able to catch a single fish. There are some common mistakes which people usually make while fishing, resulting which they have to go empty handed. Here we discuss some of them. When you use any old reel with the fishing rod, it is expected to fail and break when it bears any extra weight. You may have very attractive bait for the fish, but an old weary line can break out just with a bite of the fish. You should make sure that you use only high-quality reel with your fishing rods. Hooks come in various shapes and sizes. The choice of the hook will depend on the type of fish you are after. A big fish will never hook up to a small fishing hook and vice versa. Many people just to save a few bucks, can go for cheap hooks, but it is very important that you carefully choose the perfect size and quality of hook for fishing. A rod and reel combination used for ice fishing cannot be used for regular bait cast fishing. There are some rod reel combinations that just don’t work. Be very particular about the choice of rod and reel. The size and combination will again depend on the type of fish you are after. Many times, you might find yourself short of fishing line just at the right moment. A good combination of rod and reel and even a high-quality reel won’t work if you fall short of it. You should make proper provisions and have adequate length of fishing reel before you go deep sea fishing. This is one area where you just should not think about saving money. If you go for fly fishing, you must have knowledge about all kinds of fly fishes out there. If you learn it, you will find great success in your deep sea fly fishing endeavors. Many people think they are experienced enough to handle a fish bare handed. This is generally a mistake. Fish skin is very oily and slippery. It is so wet that it becomes very difficult to hold a fresh fish in hand. Therefore, it is recommended never to handle any fish barehanded. A fish pulled from the hook even after one hour can have much energy in it to escape your hands. The best way towards fishing success is to always listen to your guide. Never be careless when you are on the hunt. A slight pull in your rod could mean that your bait might have worked. Same way, even though you are on vacations and you may relax and chill out. Never forget the main business you are there for. When time comes, you should be quick and sturdy to get down to business.